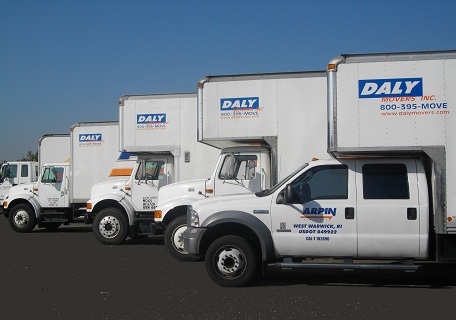 Daly Movers, Inc. has been moving the Southern California Orange County community for over 30 years. We are a diversified Orange County moving company providing packing, crating, moving, distribution and storage services to the general public, commercial sector and various governmental agencies. Our extensive experience as a moving company in Orange County along with our industry affiliations allows us to act as both relocation consultants and providers.With your best interests in mind, we diligently strive to accommodate your moving needs at competitive rates. When planning your local move it is important to find an Orange County moving company that has a reputation for excellence. At Daly Movers, Inc. we have experience moving homes, offices, corporate offices, and museums in Orange County and the surrounding area. Our rates are competitive for moving companies in Orange County and Southern California, and we provide superior customer service. Our customer testimonials give us high praise for our professionalism, efficiency, and service with a smile. Our Dedication to meeting and exceeding our customers’ needs is what distinguishes us from the competition when rates are even.